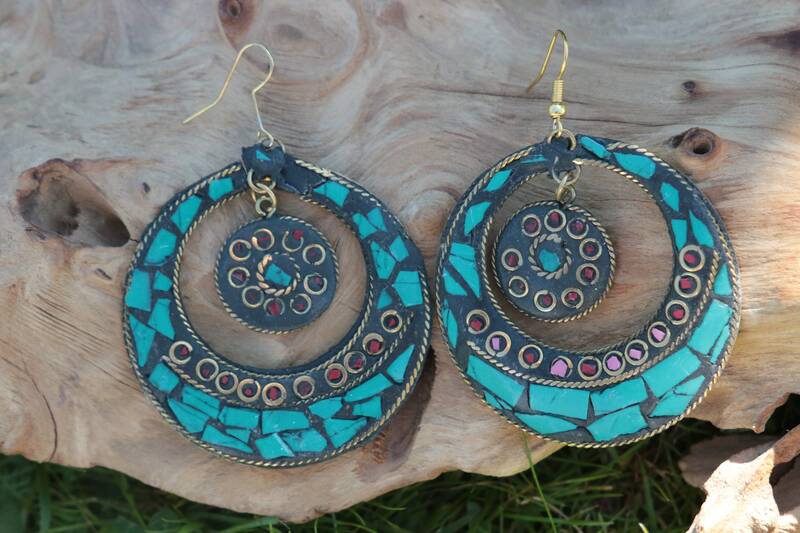 On our latest treasure hunt in india we stumbled upon a great little antique shop selling vintage Indian, Tibetan and Afghani jewellery and we fell in love with these amazing Vintage Tibetan earrings! 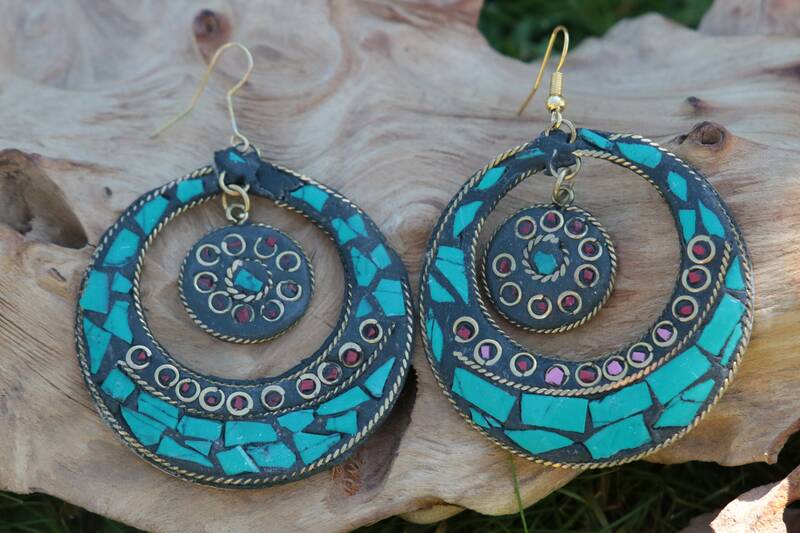 They're hand made using Turquoise chips in mosaic style with a free movement dangle piece in the centre. 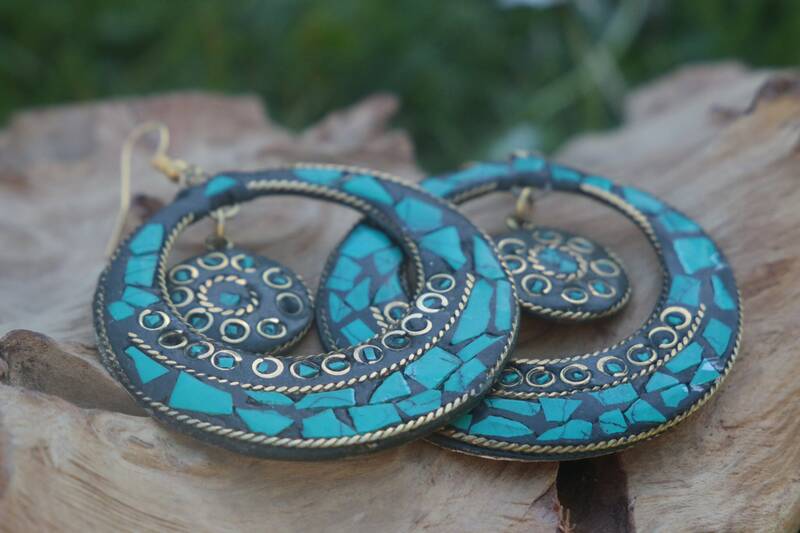 The earrings are chunky statement pieces and because of their handcrafted nature, each pair is totally unique and entirely bespoke. 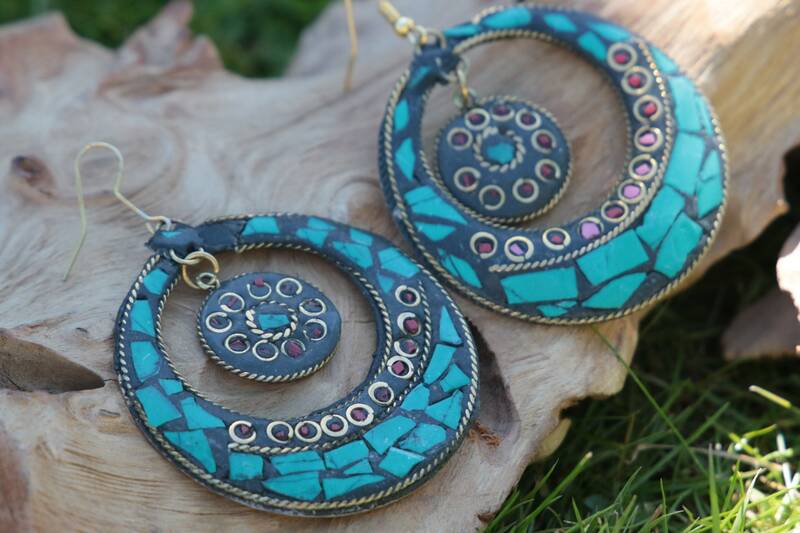 These are pieces to treasure that are sure to get you noticed for the right reasons! 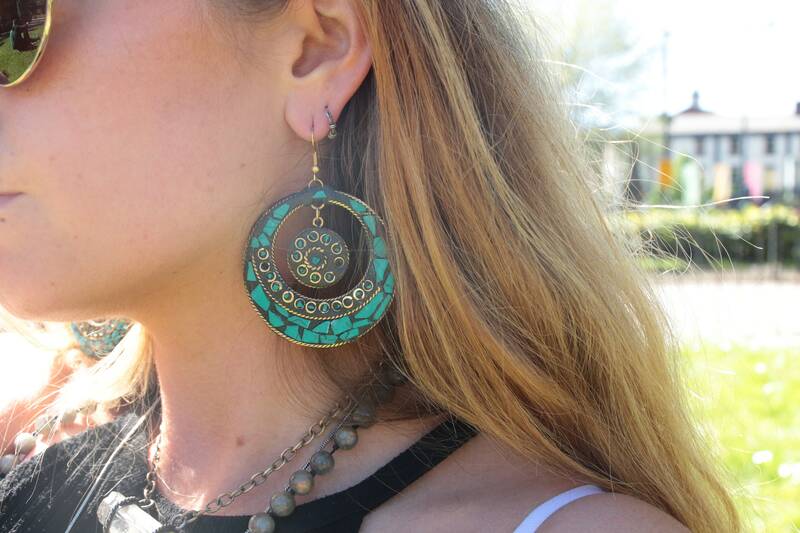 Materials: Brass - Nickel free.